Today, I’d like to talk about someone even more dear to me. My husband. But, I have to give you the backstory first. I grew up very poor. We lived in a two bedroom trailer-there were four of us-and shared a lot with another trailer and a large old plantation house. So, not quite a trailer park, but it backed up to one. Our landlords were super nice people and I remember picking up pecans in their orchard for hours on end to earn .50 cents. My brother and I would walk to the corner store and by one pop and one candy bar. We’d split it and be in heaven. I was seven at the time. Yeah, I’d never let my kids walk down the street now. Lol. It was a different time. So anyways, as the years progressed, Dad’s job stabilized and his pay grew. We moved twice before my parents finally became home-owners in a fairly decent neighborhood-kind of. We still managed on just my father’s income, but not by much. There was never much money left after bills, so we lived on coupons and hand-me-downs. It wasn’t a sad life, just very different than the one I live now. So, where am I going with this? Because of our limited means, we never ate out. Never. I was fifteen before I went to a McDonald’s for the first time. Seriously. It was 1993. I never went to the movies. Never went to the mall. Never did any of the things that the other kids my age did. I mostly stayed at home, helped my mom, listened to music and read. “I don’t feel so, well.” My stomach churned and bile rose in my throat. Anxiety doubled me over and I almost lost it right there in the middle of the restaurant. And that was exactly what I was doing. Hiding from life. My shyness was taking my life and leaving me empty. Don’t hide from life. It finds you and then you’re not ready for it. I’m thankful that I’ve had some really special people help me get around myself. 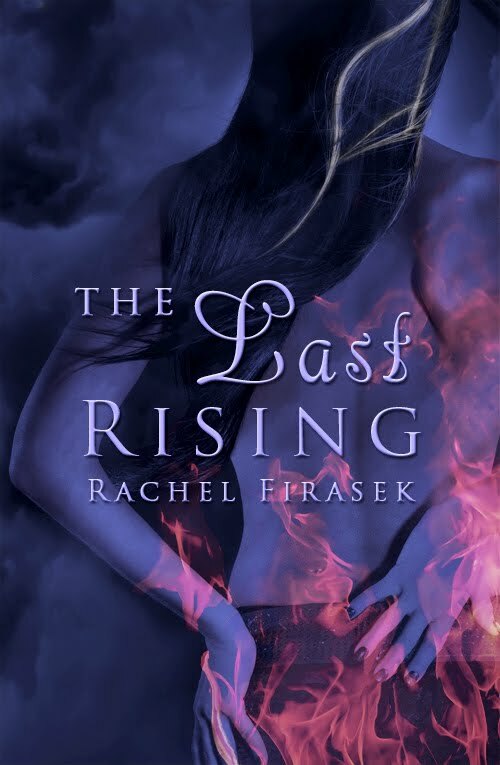 In The Last Rising, Ice hid from life and the fear of loving. I gave her Turner to remind her that the love would always be better than the fear. Do you have a special person that helps you get through hard times? Share something about them with us! Oh yeah, he’d dreamt of a woman for months now. She resembled his dream woman in so many ways, but he’d never seen his fantasy lover’s face. He sounded like a crazy man but she had to tell him. She was the only one who could put a stop to his mind’s constant fantasizing, and this feeling of déjà vu every time he saw her. She was right. He needed to get ahold of himself, but he didn’t have the strength to walk away. His hands traveled up and over her shoulders, stalling on her neck. Brushing his thumbs against her jaw, he pressed her head back and stared into hard eyes—no emotion. Couldn’t she see the battle he fought? He teased the corner of her mouth with his thumb and her breathy gasp pleased him. So, she wasn’t completely immune to him. He dropped his head until his mouth hovered over hers. Book 3 coming January 2012! She’s intrigued by anything unexplained and seeks the answers to this crazy thing we call life. You can find her where the heart twists the soul and lights the shadows… or at www.rachelfirasek.com. Your hubby really is an amazing man! Everyone should wish to find someone this special!